2011 has been a pretty hectic year, and a part of me is glad it's drawing to a close. The year's end has gotten me thinking about what I've read over the past year. Thus far in 2011 I've read 90, when my original goal was 75. Of those 90, I've picked my ten favorites--the ten that have stuck with me, the ten that you should bump up on your TBR pile. Some people I know have picked favorites from certain genres, but I feel that picking several overall favorites better represents by overall tastes. For example, I don't feel I read enough contemporaries or paranormal romances in one year to pick favorites among those. Listed in no particular order and without further ado, here are my top ten favorites books of 2011. Click on the covers to see my reviews. I've always had a soft spot for Victorian literature, and this one has an awesome mystery. Plus, it has this quote, which I found hilarious. My hour for tea is half-past five, and my buttered toast waits for no one. In addition to being one of the most emotional reads of 2011, this was also one of the most fast-paced. I didn't think Sepetys's writing was perfect, but I was too attached to the characters and their story to care. I was intrigued when I heard that this was supposed to be a re-telling of The Handmaid's Tale, plus I knew I needed this gorgeous cover on my shelves. As it turns out, DeStefano's writing is absolutely gorgeous. Furthermore, I liked the world-building--I had enough information to get me interested, but enough to leave me wanting more. Does it get much better than this? You've probably already heard me rave about this one at some point, so I'll just repeat two things about it: it kept me up until 3 .m. and the writing is gorgeous. 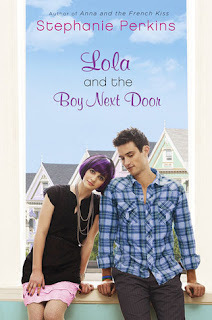 A quirky love story featuring with periodic appearances by some of my favorite characters of 2010. Perkins knows how to create atmosphere, amazing characters, and swoon-worthy romances. How was this not going to end up on my best of 2011 list? Guys, this book made me cry during my commute. On my over-crowded bus. How did I wait until 2011 to read this book? I feel much better about calling myself a Nerdfighter now that I've read one of John Green's books. Although I figured this one would be good, I was not prepared for the awesomeness of Green's debut novel. I didn't expect Wolfsbane to be nearly as good as it was or to read it as fast as I did. Thank goodness the release of Bloodrose is now less than a week away. 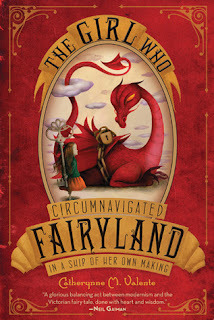 This book utterly charmed and had a fabulous world. I look forward to recommending it to young readers I know. Just go pick it up. Yes, this book has a great story. Yes, the world is good. 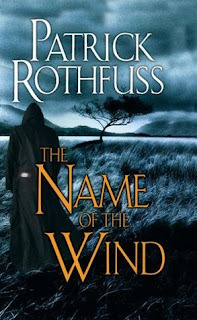 However, there's one reason this book is making my top ten list: Patrick Rothfuss's prose is stunning. I'm excited to find out how Kvothe's story ends because I know that no matter the plot points, the narration will be beautiful and heart-breaking. So there we have it. The best of 2011. 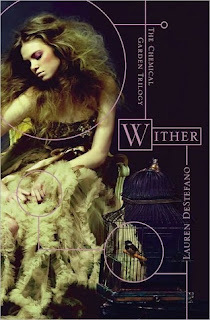 I hope 2012 is packed with more great characters, beautiful prose, and new favorites! Great list. 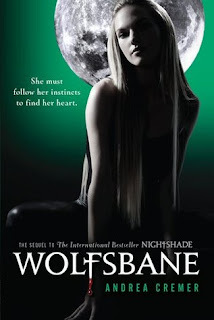 Funny - I still haven't read Wolfsbane. I need to. Love Lola of course and The Giver is an all time fav. Your list is the only one where I have read every single book listed and LOVED every single book listed. See this is why I like you because you have KICKASS taste in books. Also, that quote from The Woman In White? LOVE! 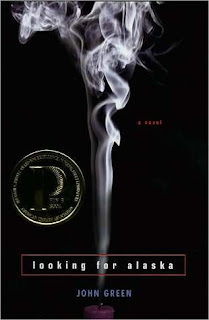 I feel just the same as you about Looking for Alaska! I just wanted to read it because it was by John Green and was really surprised about how wonderful it was. 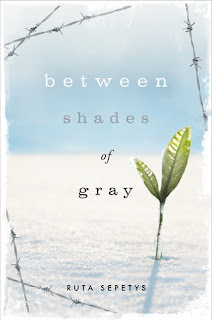 I also loved Wither and Between Shades of Gray, and really want to read many books on this list. 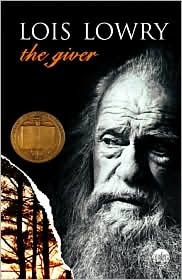 Every time I think about The Giver I get shivers!! I've always said that is the best/worst book I've ever read. Name of the Wind has been on my to-read shelf FOREVERRRR. I need to get in on that. Glad to see a classic on there. GO YOU for reading The Woman in White. 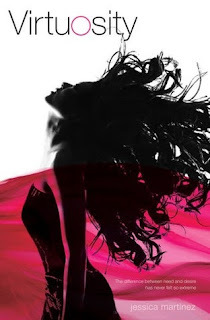 I am SO thrilled to see Name of the Wind topping your list, that is why I <3 you. Also glad you loved Woman in White! That is one of my fave classics. 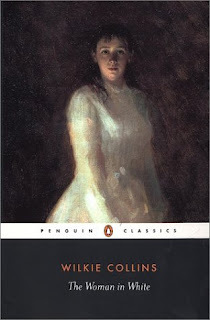 Wilkie Collins is the man. Great list -- thanks for posting it! I haven't read too many of them yet. I really loved BETWEEN SHADES OF GRAY, and am SO looking forward to VIRTUOSITY (heard lots of good things about it!). And I keep hearing good things about The Name of the Wind. I don't tend to read adult fantasy but I think I might have to give that one a try!